Wow, March has come and gone and I'm now a year older! Time does fly when you are having fun. And, I sure did have fun creating my latest project for the Crafty Calendar Challenge. For this challenge you are to add a button and/or a bow. I didn't want to cover up too much of my pretty image, so I opted to add a double bow, to one side of the sentiment, using white twine. 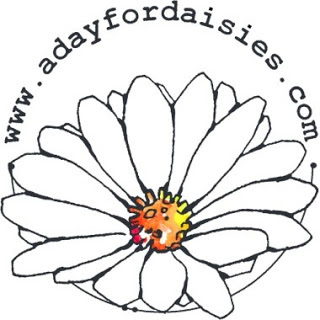 Our sponsor this month is A Day for Daisies Digital Stamps. For all the challenge details and to share your project at the Crafty Calendar Challenge, just click HERE. As you may know, I love flowers. 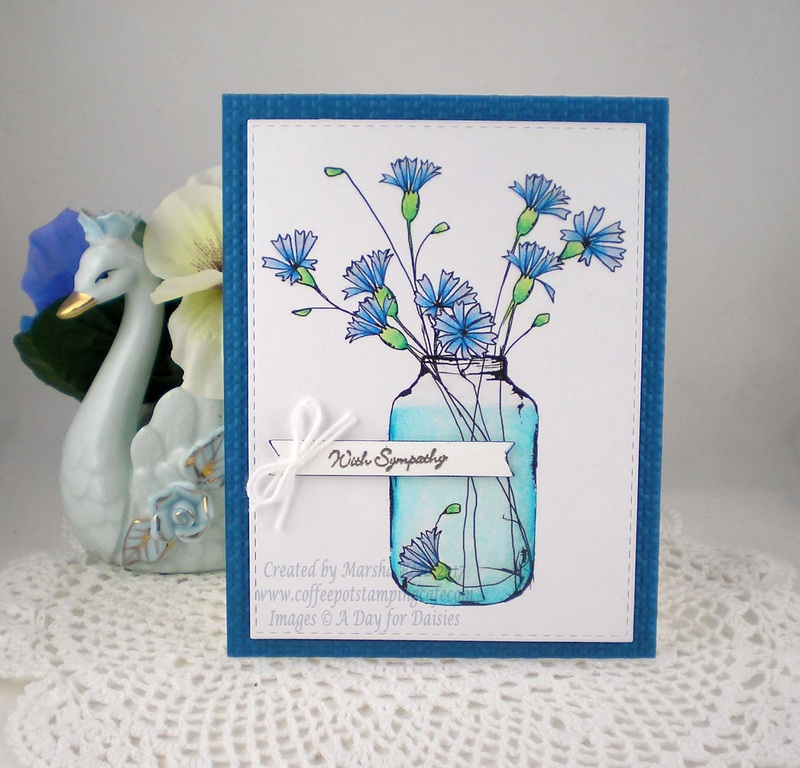 When I saw this Bachelor Buttons image from A Day for Daisies, I fell in love with it's simplicity. I started by printing my image off using my inkjet printer. I always let my ink dry overnight to be sure it is good and dry before I start coloring my image. It's a sure way of not having the ink run when coloring. I'm really pleased with the way this turned out. Beautifully coloured image and a fantastic make. Beautiful card Marsha, love the delicate flowers and colours.